Whole Lotta Gilly – Baby On Board!! I suppose every person has a reason as to why they turn their life around, eat better, exercise more and similar. I have never really been open about my reasons. I have a wonderful life, a loving husband and great family and friends. The one thing missing in my life is children. I have been struggling with infertility for five years now. Now in my early 30’s its starting to become my main focus of losing weight and getting fit. Its time to really push now to get down to my target weight and focus my energy on getting the doctors to do more. I have not received a diagnosis of any medical issue but from my research I know that weight and related health are one of the big factors. Being open and truthful I feel guilty with every negative test that I can’t give me husband a “mini me” as I know that he will be the most amazing dad. Its not fair that something so natural can be so tough for some. Picking myself up and ensuring that I can keep going to reach the end goal will be the biggest reward of all and make this hard work worthwhile. I am taking part in Blogging 101. 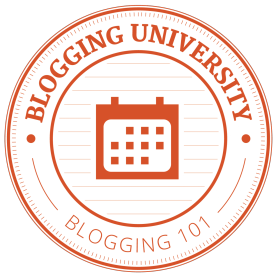 This specially designed course helps bloggers improve their writing and blogs. Each day I will have an email with day’s task and try to blog, and today marks the first one! So this one is a bit more difficult for me as I have been blogging on and off for a while now, but no harm in trying! I am Gilly, a 30 something wannabe blogger from Aberdeen, Scotland. WholeLottaGilly first came about when the realisation hit me that I had put on so much blooming weight! I decided that it wasn’t time for a diet but a total lifestyle change. Changing what I eat and actually starting to exercise has had such an impact to my life (not only physically). I decided that I needed to share and document my progress with the aim of keeping me motivated as well as supporting others. I am looking forward to being introduced to new blogs and meeting likeminded and passionate bloggers through Blogging 101. The first post on WholeLottaGilly about my passion for fundraising and events! I know it sounds cliche but I love raising money and organising events. I considered starting a separate blog for this but hoping I can combine this into this blog – I welcome feedback and suggestions to this! If you want to fundraise I think I can help! Fundraise for a cause that you care about, want to improve and get that general good feeling doing something fulfilling. Over the past 3 years I have raised more than £150,000 for charities and good causes through various events and fundraisers but sometimes the worry about pulling an event off can be overwhelming. The best way to learn? Volunteer. I started volunteering with different organisations and charities – this gives you the ultimate experience of fundraising, learning from people already successfully raising money. Over the years I have met some amazing people doing amazing things and the whole journey has been so worthwhile. Do your research, find a good cause or local charity to help. Drop them an email and offer your services. Charities appreciate any offer of help, especially when you are prepared to give up your own time to help their cause. The more passionate you are of the cause then the more you will get out of the experience, pick something close to your heart that you have an interest in. For me I was introduced to a local cancer charity; Friends of ANCHOR. 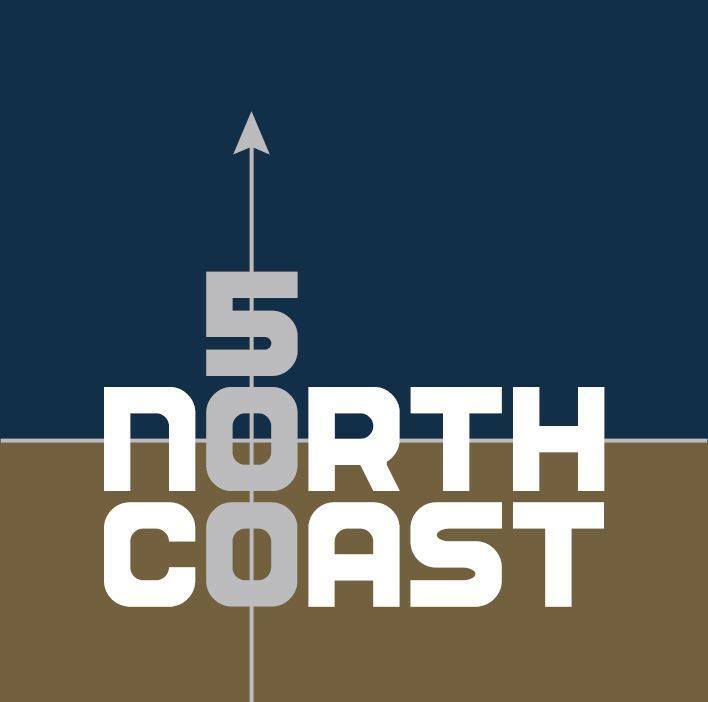 This particular charity makes a great impact in my local area, and has even helped my family and friends through the hard times facing the devastating news of cancer. From supplying fresh fruit in the wards to raising hundreds of thousands towards the latest technology in cancer treatment this charity means so much to me. From small coffee mornings to weekend action packed events volunteering with this charity has exposed me to all types of fundraising as well as meeting life long friends. This has given me the confidence to organise and succeed in my own fundraising plans. Raising funds always feels amazing, but you will never know the feeling of making a difference until you have given it a go! I always love a look around www.eatingwell.com for inspiration daily. The website provides you with many recipe ideas especially handy when trying to come up with ways to use all the fruit and veg in my fridge! 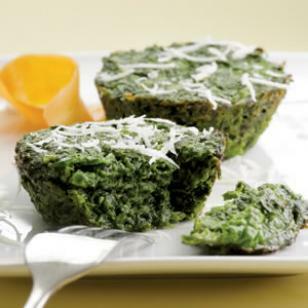 One of my favourite ways to eat more spinach is the amazing spinach and parmesan cakes. They are so tasty! Pulse spinach in three batches in a food processor until finely chopped. Transfer to a medium bowl. Add ricotta (or cottage cheese), Parmesan, eggs, garlic, salt and pepper; stir to combine. Coat 8 cups of the muffin pan with cooking spray. Divide the spinach mixture among the 8 cups (they will be very full). Bake the spinach cakes until set, about 20 minutes. Let stand in the pan for 5 minutes. Loosen the edges with a knife and turn out onto a clean cutting board or large plate. Serve warm, sprinkled with more Parmesan, if desired. Per serving: 141 calories; 8 g fat (4 g sat, 3 g mono); 123 mg cholesterol; 6 g carbohydrates; 13 g protein; 2 g fiber; 456 mg sodium; 560 mg potassium. Nutrition Bonus: Vitamin A (170% daily value), Folate (46% dv), Vitamin C (40% dv), Calcium (30% dv), Potassium (16% dv).